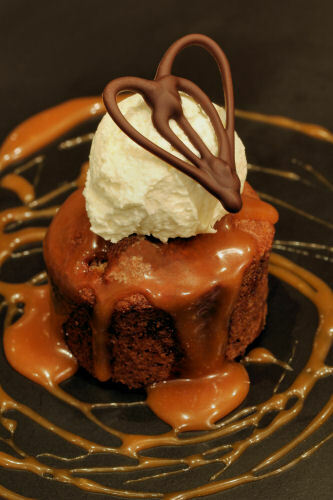 Sticky toffee bourbon pudding, with a salted caramel sauce. Recipe comes from this post, Recipes Using Bourbon. Stunning:) I could just eat that now.